When it comes to choosing our drinks for lunch, dinner or on the go, it’s easy for most us of to turn to soda or our favorite sweet drinks. Recent studies have provided us some shocking results – over 60% of Americans don’t drink enough water daily. I’ll be the first to admit that choosing refreshing lemonade over boring water is almost habit. The issue is, with our bodies being about 70% made up of water we can’t continue depriving them in such a way. By infusing your water with fruits, vegetables or herbs you not only add additional flavor, but you also provide your body with essential vitamins and minerals. So what exactly can I can to my water to make it delicious and healthy? That’s the awesome part of infused water – you’re only limited by your imagination! The possibilities are endless and soon you will discover your own favorite recipes. Not to mention the long list of added health benefits of adding fruits, veggies, and herbs. But let’s move along to some of my personal favorite recipes! Directions:Slice the vanilla bean pod lengthwise and remove the seeds. 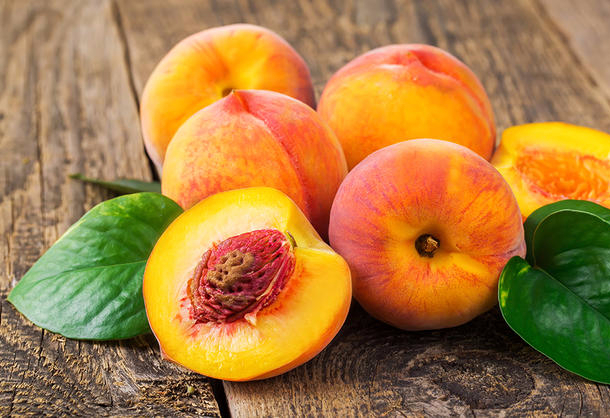 Slice the peach into small enough chunks to fit into the infuser basket. Knead the peach slightly to decrease the infusion time. Place vanilla beans and peach chunks into the infuser basket and fill the bottle with water. Estimated Time: Allow the water to infuse for 3 hours for best taste. Directions: Slice your apple into small enough pieces that will allow it to fit inside the infusion water basket. 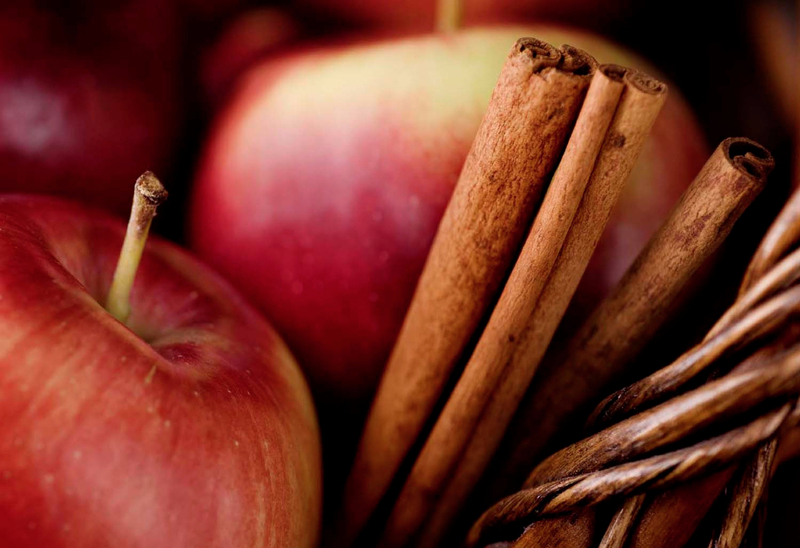 Then place as much apple as possible along with your cinnamon stick into the basket and allow water to infuse. Estimated Time: Apple is one of the slower fruits to infuse so make sure to allow for adequate infusion time. Start with 4 hours and increase the time until the desired flavor level is reached. 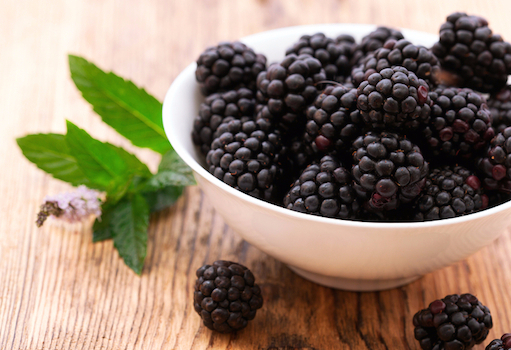 Directions: Fill infusion basket with blackberries and mint sprigs for infusing. You can use this recipe with tap water or mineral water and allow water to infuse. Estimated Time: Varies depending on your desired taste level. Start with 30 minutes and note what the time to reach your desired taste level is. Directions: Cut 1 small lime in half and then slice it small enough to fir into the fruit infusion basket. Carefully remove the rind and then add to the infusion basket. 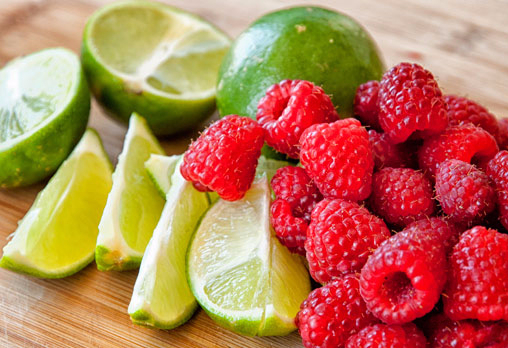 Fill the remaining space with fresh raspberries, around 10, and place in the refrigerator to infuse. Estimated time: 1-4 hours. With the rind removed this can be allowed to infuse over night to provide a stronger flavor. 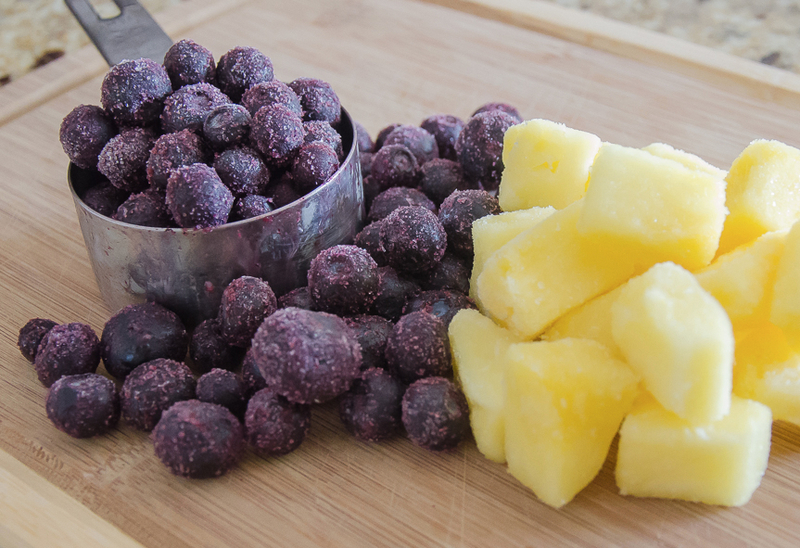 Directions: Fill the infusion basket with ½ cup of pineapple chunks and ¼ cup of blueberries and allow water to infuse. The pineapple will infuse much faster and provide for a more predominant flavor. Estimated Time: Pineapple is on of the faster infusing fruits and should be ready to drink in less than 1 hour. Long story short, there are thousands of combinations you can try when making an infused water recipe that excites your taste buds! Here we have only scratched the surface of the endless possibilities. But as you can see, there are so many health benefits that come from infused water, so the taste shouldn't be the only thing that excites you! Now it's your turn to give these recipes a try and see which ones you love. I am always eager to try out new recipes myself, so if you find something you love please comment below and share your combinations! 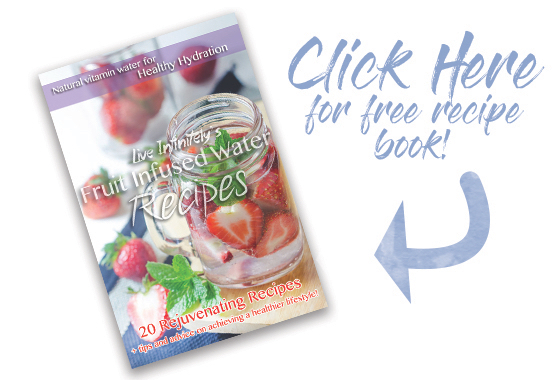 Take your infused water recipes on the go with a Live Infinitely Forever Fused Water Bottle! With a 20 Recipe eBook included with every bottle, you'll be set up with enough recipes to get you going as well as spark your creativity to invent your own! Orclick the button below to simply download our recipe ebook for free! $2.00 For each additional item * Alaska & Hawaii addresses require 3-5 additional days **Orders placed on weekends or holidays will be shipped on the next open business day. • Choose from 3 different sizes of 30oz, 40oz or 64 oz & over 10 vibrant color options! • Double walled vacuum insulated 18/8 food grade, FDA approved stainless steel keeps your ice frozen 30+ hours and your coffee at the perfect temp for 12 hours like pure magic!